The Royal Institute of British Architects champions better buildings, communities and the environment through architecture and our members. We provide the standards, training, support and recognition that put our members - in the UK and overseas - at the peak of their profession. 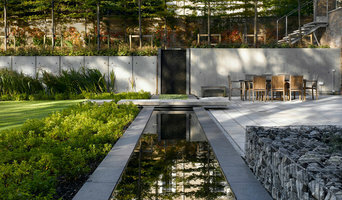 We will be uploading examples of RIBA Award winning architecture in the North West region. What do Little Hulton, Greater Manchester schools, professional organisations and associations do? If you are taking on a building or renovation project and you’d like architectural advice, then it’s a really good idea to look into architecture associations such as the Royal Institute of British Architects (RIBA). They can help you find an architect that is a member of their institute and also offer a trove of information on architectural news, resources, exhibitions and events. The same goes for interior design associations and institutes, such as the British Institute of Interior Design, as well as other specialist organisations for landscape architects, electricians and carpenters, for example. For professionals themselves, these Little Hulton, Greater Manchester interior design associations and architecture associations are crucial for continuous learning and advancement in their fields. For example, architects can take RIBA CPD (Continuing Professional Development) courses to make sure they are fully aware and trained in new architectural developments and qualifications. Why would I want to contact a Little Hulton, Greater Manchester design school or organisation? Perhaps you are considering moving on from your DIY projects and actually becoming professional, or at least taking some interior design courses, yourself? Search Houzz for design schools and architecture institutions that offer interior design courses, certifications, architecture qualifications and training. You might find that the dream of becoming an architect or interior designer is not as impossible as you first thought. What trades do you teach or represent? Do you offer interior design courses? How will these be taught? Do you offer qualifications or certificates? What are the fees for each course or qualification? Do you offer membership to an architecture or interior design association? Is there a yearly membership fee? How can my company become accredited by an official institute? Once I am a member of your association am I offered news, advice and continuous learning opportunities? Find a design school or organisation on Houzz. Narrow your search in the Professionals section of the website to Little Hulton, Greater Manchester architecture associations, interior design courses, schools and organisations.